You may want access to specific information the instant you login. To do this you can set up a Front Page Report. 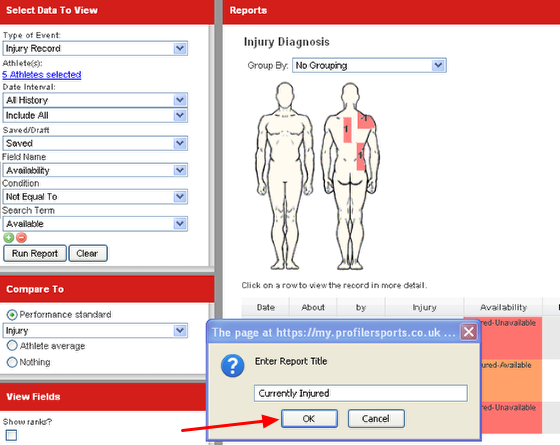 They are very useful for reviewing Injury and illness reports for injury and illness data that is not resolved, or for daily availability data. Other users set up front page reports to monitor tasks they need to complete for their athletes. 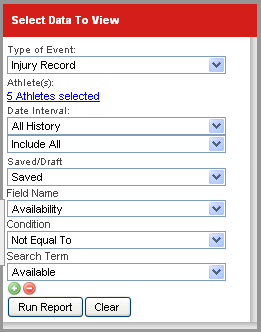 This is very useful when you need to update injury records, or access newly entered information. You can set up a report on the Reports Page (as shown below) and have it appear on your home page with updated information for you to access. 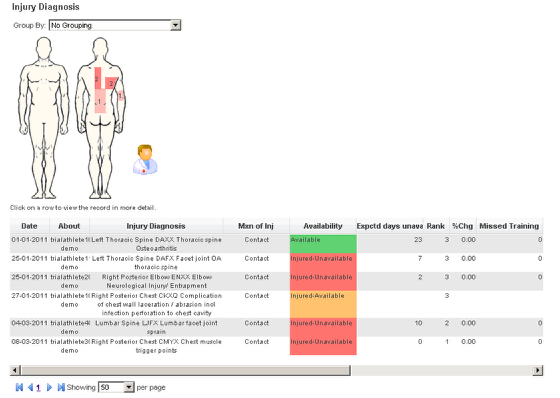 The example here shows an injury report for open injuries, which enables a Physio or Doctor to login and immediately see any unresolved injuries, as well as to easily update the records when they treat their athletes/players. On the reports page, set up the data, athletes, history and filters that you require. For this example, we are setting up a report to show all of the injury and illness data for the athletes, that is not currently marked as fully resolved. Set up the event, athletes, and specific filter to ensure you only see the data you require. The report will appear on the reports view on the right of the page. Once the reports runs, click Send to Front Page (this is available on the top right of the Reports page) and then Name the reports and click OK. The report will appear on the Home page and each record can be accessed just by clicking on a row. You can set up more than one report to show on your home page, but it is best to limit it to 1 or 2 so as to avoid cluttering the home page.